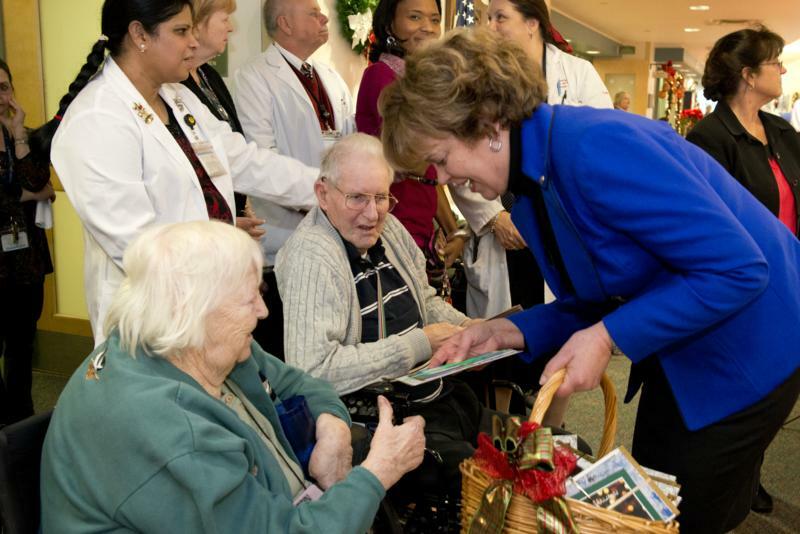 Philadelphia- Governor Tom Corbett, along with First Lady Susan Corbett, today delivered Christmas cards to residents at the Delaware Valley Veterans Home in Philadelphia. 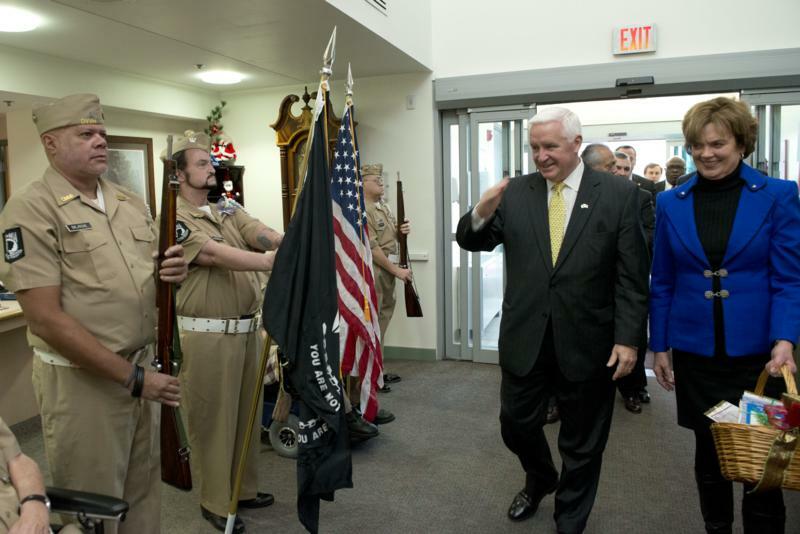 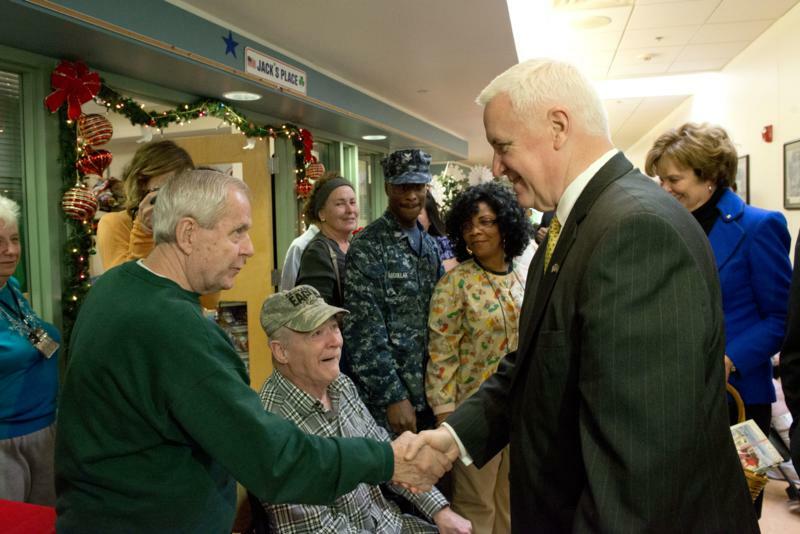 Governor Tom Corbett, along with First Lady Susan Corbett, today delivered Christmas cards to residents at the Delaware Valley Veterans Home in Philadelphia. 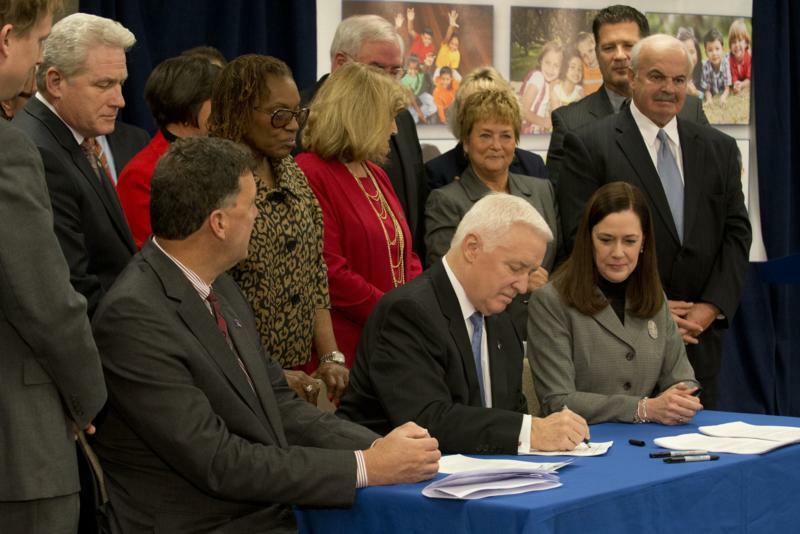 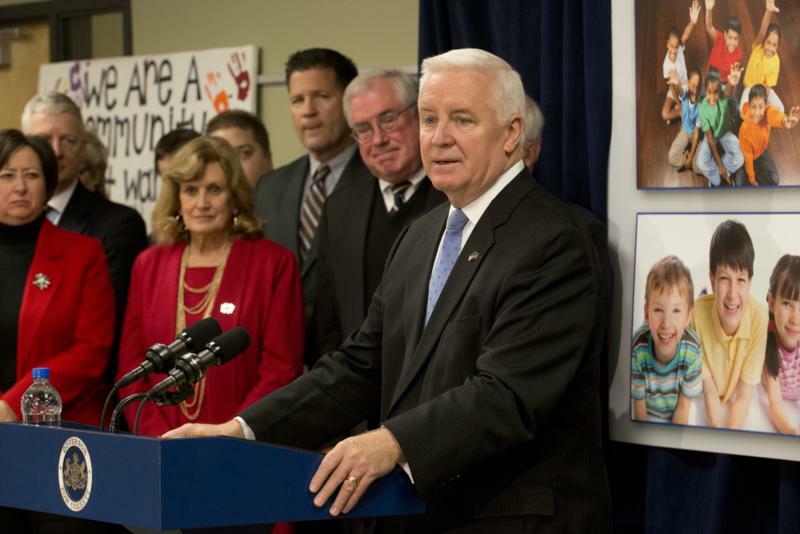 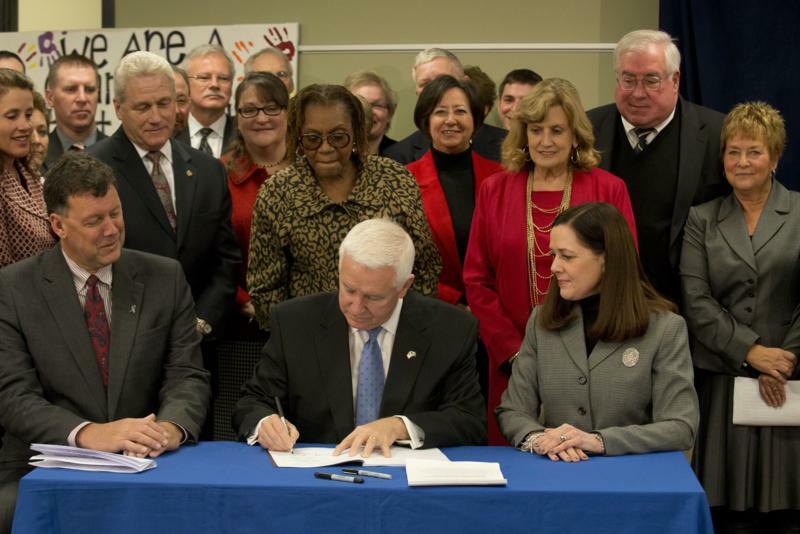 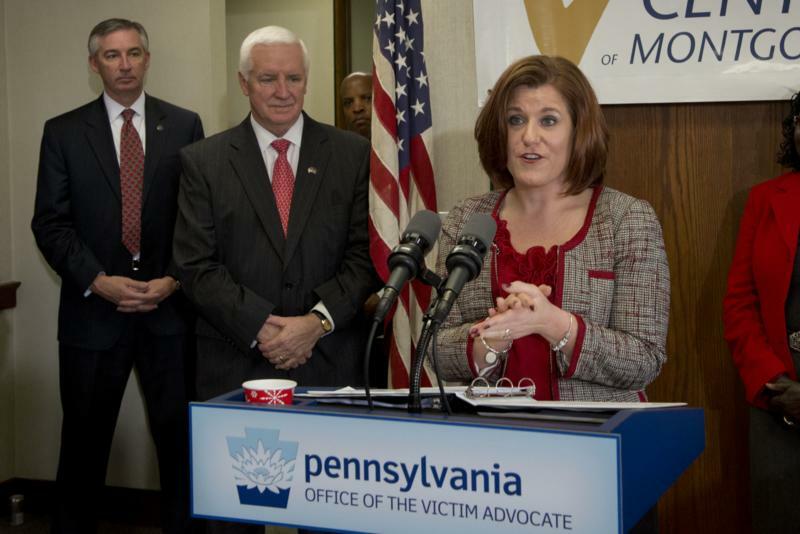 Harrisburg - Governor Tom Corbett today will sign into law ten bills that put Pennsylvania's children first by making significant improvements to the state's child protection laws. 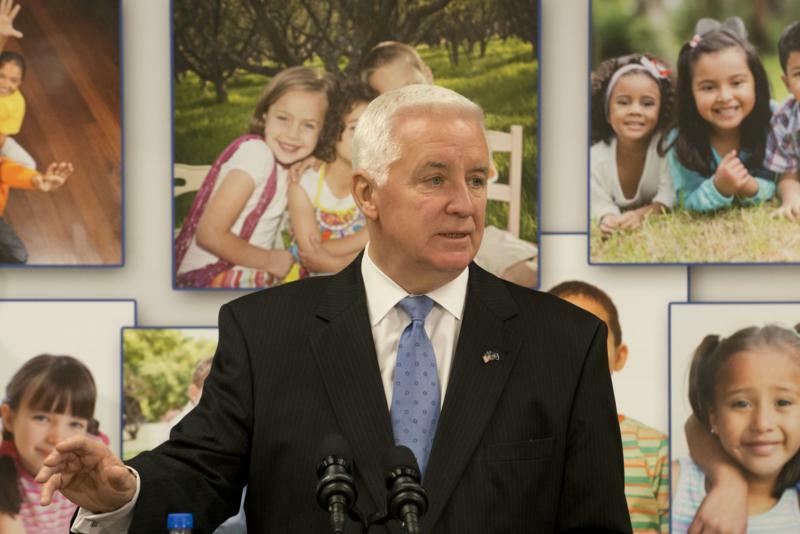 Harrisburg - Governor Tom Corbett's promise to make the Pennsylvania tax appeals process more objective and taxpayer-friendly, led to the Council on State Taxation (COST) this week naming Pennsylvania as the "most improved" state in the nation -- vaulting from a "D" rating to an "A-" in its most recent tax administration scorecard. 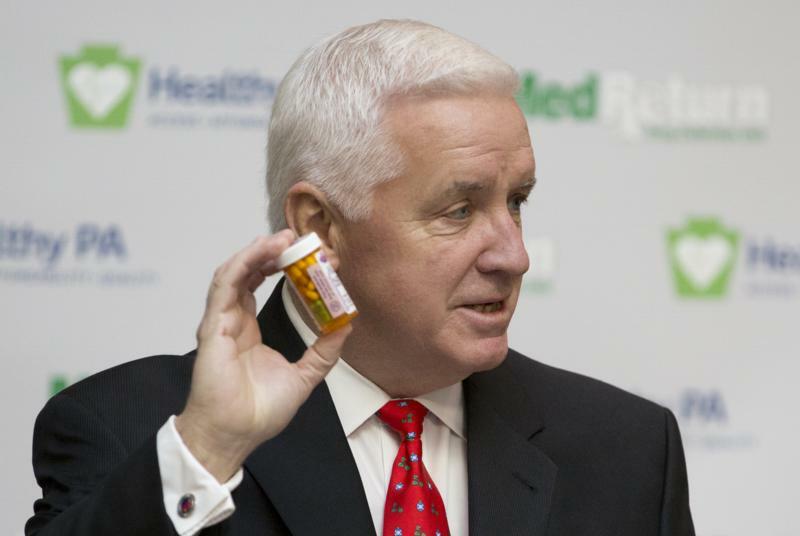 Governor Tom Corbett today launched another piece of his Healthy Pennsylvania plan, a permanent statewide drug take-back program that will provide up to 250 secure medicine return boxes throughout Pennsylvania. 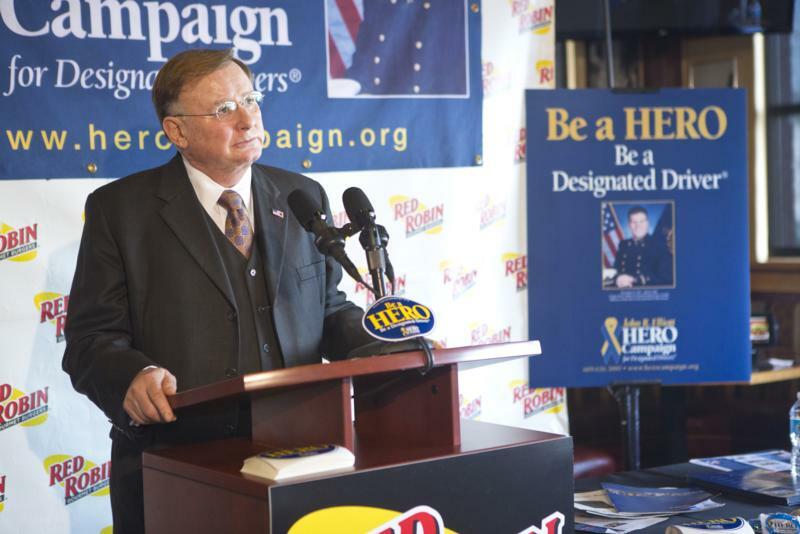 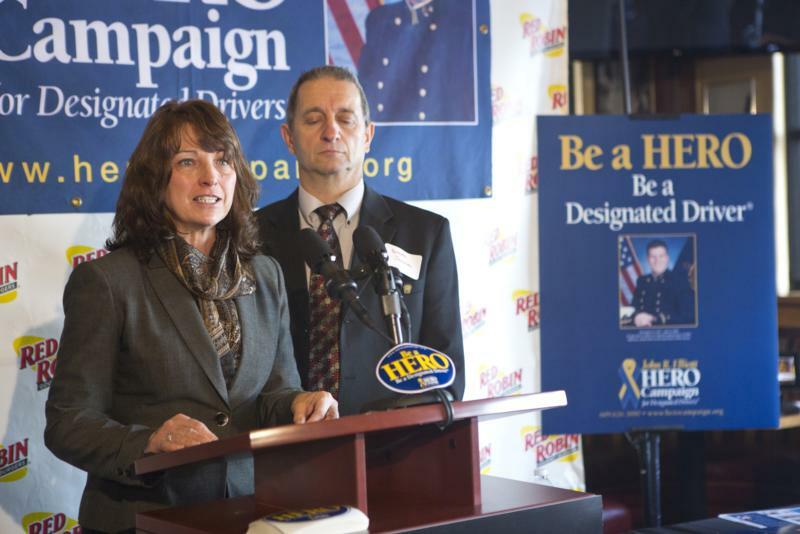 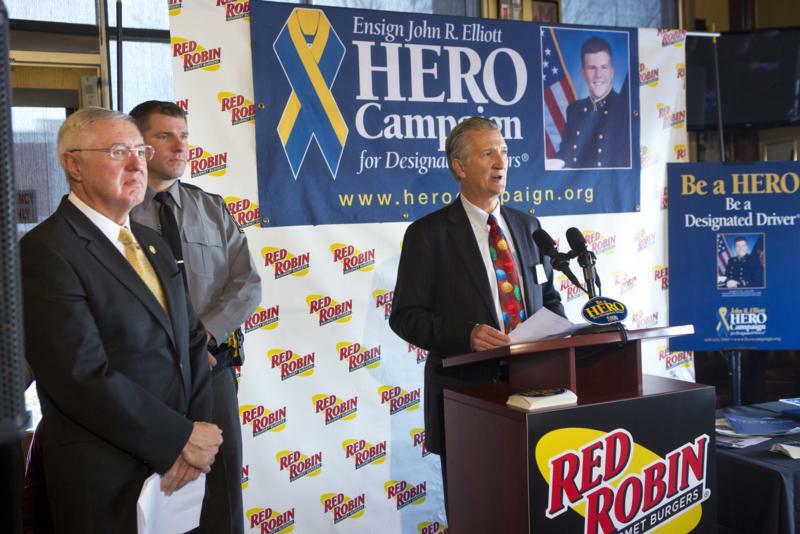 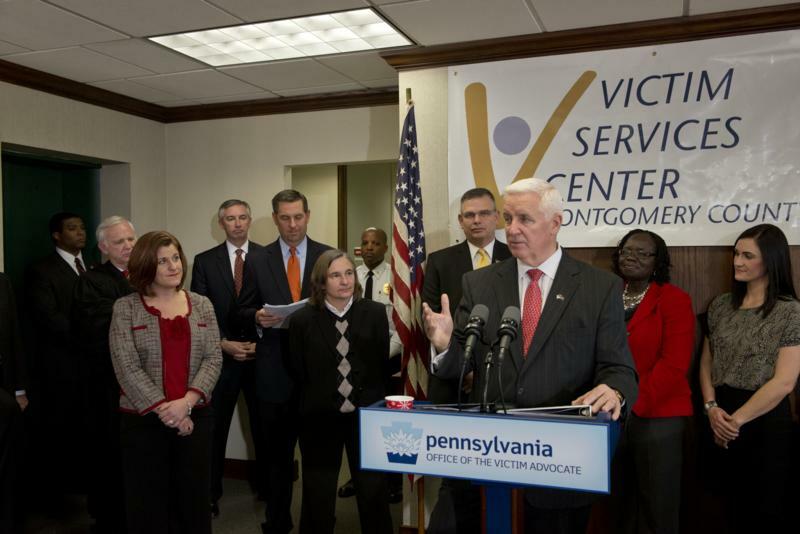 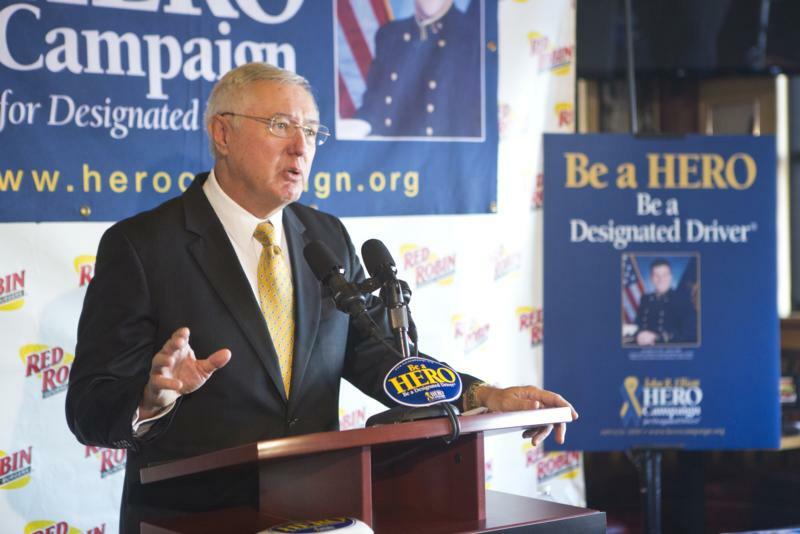 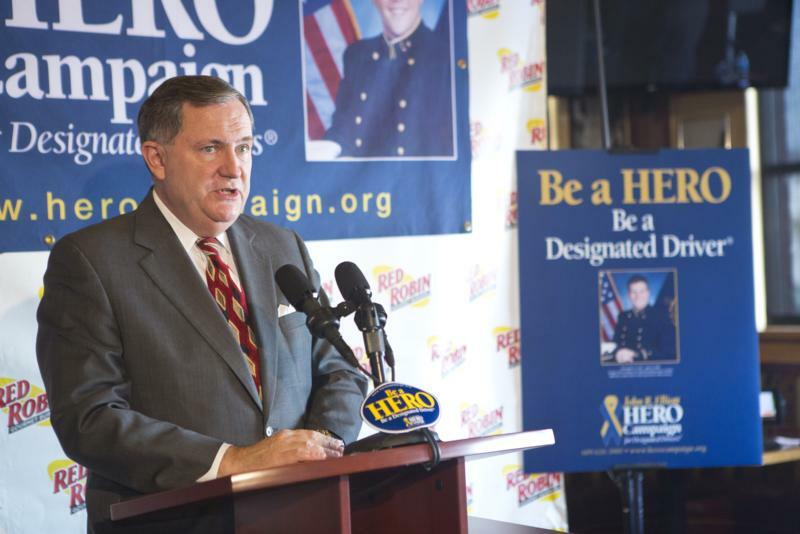 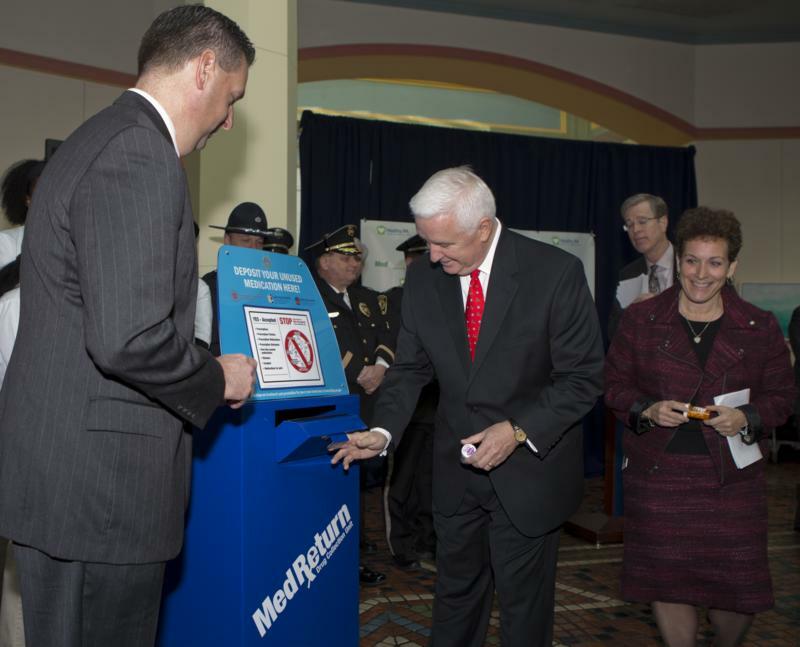 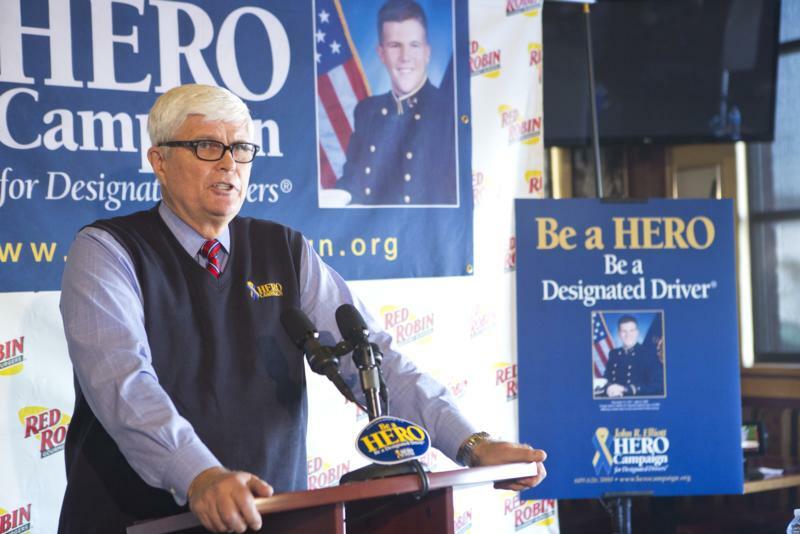 Harrisburg - Governor Tom Corbett today launched another piece of his Healthy Pennsylvania plan, a permanent statewide drug take-back program that will provide up to 250 secure medicine return boxes throughout Pennsylvania. 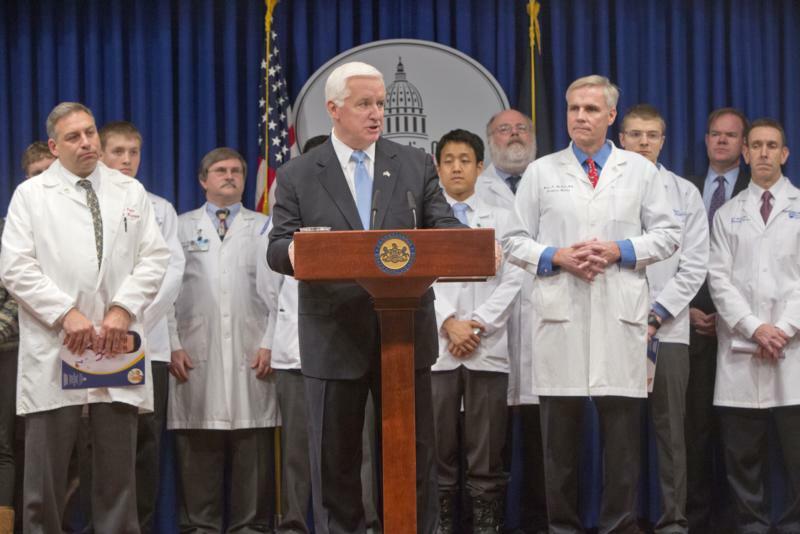 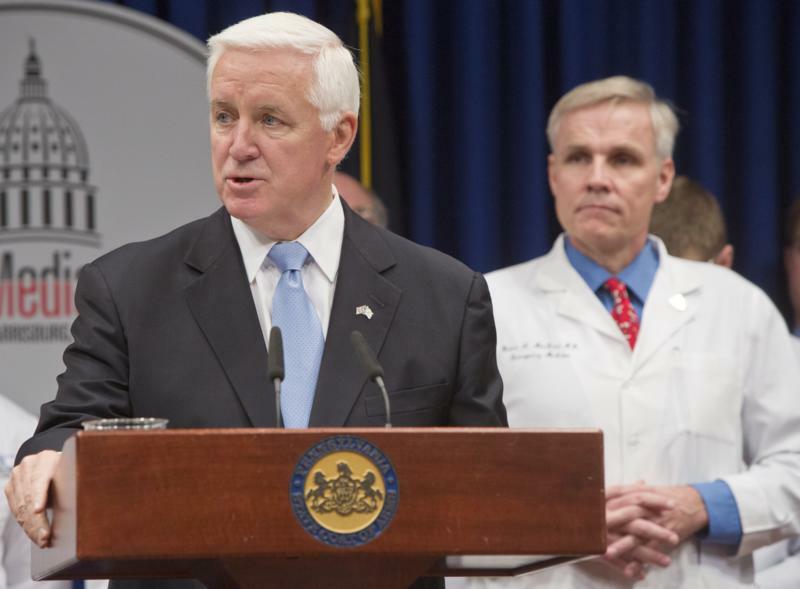 Governor Tom Corbett recognized physicians and provided remarks during the Pennsylvania Medical Society's annual end - of - year press conference.